West, Ian .M. 2013. Bibliography of the Purbeck Group, Dorset, UK - Vertebrates: Geology of the Dorset Coast (Jurassic Coast, World Heritage Site). Internet site: http://www.southampton.ac.uk/~imw/purbdin.htm. Version: 19th December 2013. .
Go back to the main Purbeck Bibliography? Ensom, P.C., Evans, S.E. and Milner, A.R. 1991. Amphibians and reptiles from the Purbeck Limestone Formation (Upper Jurassic) of Dorset. Fifth Symposium on Mesozoic Terrestrial Ecosystems and Biota. Extended Abstracts - edited by Zofia Kielan-Jaworowska, Natascha Heintz and Hans Arne Nakrem. Contributions from the Paleontological Museum, University of Oslo, No. 364, 1991. Pp 19-20. Hudleston , W.H. 1876. Excursion to Swindon and Farringdon. Proceedings Geological Association, 4, 543-554. Unconfirmed report of a frog in Purbeck strata at Swindon. McGowan , G.J. and Ensom, P.C. 1997. Albanerpetontid Amphibian from the Lower Cretaceous of the Isle of Purbeck, Dorset. Proceedings of Dorset Natural History and Archaeological Society for 1996, vol. 118, 113-117. Authors' Abstract: Albanerpetontids are small amphibians with tails and strong limbs. They resemble salamanders in their general body form. They are known from the Bajocian to the Miocene of Europe, North America and Central Asia. Described here is albanerpetontid material from the lowermost Cretaceous of the Isle of Purbeck, Dorset. Many of the elements found here are indistinguishable from the older albanerpetontid material from the Middle Jurassic of Kirklinton, Oxfordshire. The shape of the frontal permits the assigning of the Purbeck albanerpetontids to the genus Celtedens . (End of Authors' Abstract). Notes - Material is dissociated and from the Cherty Freshwater Member of Sunnydown Farm Quarry and Lovell's Quarry near Langton Matravers, Dorset. See other Ensom papers on vertebrates, including mammals, from this locality. Ensom , P.C., Evans, S.E. and Milner, A.R. 1991. Amphibians and reptiles from the Purbeck Limestone Formation (Upper Jurassic) of Dorset. Fifth Symposium on Mesozoic Terrestrial Ecosystems and Biota. Extended Abstracts - edited by Zofia Kielan-Jaworowska, Natascha Heintz and Hans Arne Nakrem. Contributions from the Paleontological Museum, University of Oslo, No. 364, 1991. Pp 19-20. Crocodiles - Theriosuchus, Bernissartia and Goniopholis. Freeman, E.F. 1975. The isolation and ecological implications of the microinvertebrate fauna of a Lower Cretaceous lignite bed. Proceedings of the Geologists' Association , 86, 307-312. (ecological relationship between fish and crocodiles. In some cases crocodiles lived on carcasses of large reptiles). Joffe, J. 1967. The dwarf crocodiles of the Purbeck Group, Dorset: a reappraisal. Palaeontology, 10, 629-639. (considered small Purbeck crocodiles to be juveniles). Mansel-Pleydell, J.C. 1888. Fossil reptiles of Dorset. Proceedings of the Dorset Natural . History and Antiquarian Field Club, 9, 1-40. Owen, R. 1853-89. Fossil Reptilia of the Wealden and Purbeck Groups. Monograph of the Palaeontographical Society, London. Owen, R. 1854. On some fossil reptilian and mammalian remains from the Purbecks. Quarterly Journal of the Geological Society of London, 10, 420-433. Owen, R. 1855. Notice of some new reptilian fossils from the Purbeck Beds near Swanage. Quarterly Journal of the Geological Society of London, 11, 123. Owen, R. 1872-1889. A monograph on the fossil reptilia of the Wealden and Purbeck Groups. Supplement 4 - 9, Palaeontographical Society. Corram, R. 1988. Prehistoric Dorset: The story of its fossils. What they did and where to find them. Published by British Fossils. 31p. Pamphlet on sale in Swanage, Dorset - �1.50p. Simple line drawings of the smaller and larger Purbeck dinosaurs. Nuthetes was a small flesh-eater. Echinodon was one of the smallest dinosaurs, well under a metre in length and belonged to a fairly primitive group which mostly died out in the rest of the world. There is evidence from older rocks in South Africa that creatures very similar to Echinodon were able to survive dry, hot summers by going to ground and sleeping through them, a process called aestivation. Perhaps Echinodon did the same. Big dinosaurs. Megalosaurus was like a scaled-up Nuthetes and about 10m in length. Also Iguanodon. Sauropod footprints mentioned (presumably of Sunnydown Quarry). Briggs, D.E.G., Wilby, P.R., Perez-Moreno, B.P, Sanz, J.L. and Fregenal-Martinez, M. 1997. The mineralization of dinosaur soft tissue in the Lower Cretaceous of Las Hoyas, Spain. Journal of the Geological Society, London, 154, 587-588. Authors' abstract: The mineralized soft tissue of a dinosaur, only the second discovery of its kind, is reported from the Lower Cretaceous of Las Hoyas, Spain. Cellular details of mineralized skin and muscle of Pelecanimimus are replicated in an iron carbonate. The outline of this ornithomimosaur is preserved by a phosphatized microbial mat that enshrouded the carcass. It confirms the existence of either a throat pouch or dewlap, and soft occipital crest. This study confirms the importance of microbial mats in the fossilization of soft tissues and emphasises the need for careful monitoring of vertebrate remains for mineralized soft tissues prior to acid preparation. Ensom , P.C. 1997. Reptile eggshell from the Purbeck Limestone Group of Dorset, southern England. Proceedings of Dorset Natural History and Archaeological Society, for 1996, vol. 118, pp. 79-83. Author's Abstract: The discovery of fragmentary eggshells of amniotic vertebrates in the Cherty Freshwater Member of the Purbeck Limestone Group (Lower Cretaceous) of Dorset is recorded. Four types of eggshell have been separated and are compared to the egg parafamilies Megaoolithidae, Faveoloolithidae or Dictyoolithidae, and Ovaloolithidae. In addition the presence of crocodilian and possibly testudoid eggshell is recorded. A tiny limb bone has been tentatively identified as coming from an embryonic or hatchling reptile, possibly a dinosaur. The linkage between the Faveoloolithidae and possibly the Megaloolithidae and sauropod dinosaurs is of special interest in view of the source of the eggshell fragments at the Sunnydown Farm footprint site, where putative sauropod tracks have been observed. End of Author's Abstract. Beckles, S.H. 1862. On some natural casts of reptilian footprints in the Wealden Beds of the Isle of Wight, and of Swanage. Quarterly Journal of the Geological Society, London, 18, 443-447. Delair, J.B. 1985. History and Bibliography of the Study of Fossil Vertebrate Footprints in the British Isles: Supplement 1973-1983 (with W.A.S. Sargeant and the junior co-author). Palaeogeography, Palaeoclimatology, Palaeoecology, 49: 123-160, 1985. Delair, J.B. and Lander, A.B. 1973. A short history of the discovery of reptilian footprints in the Purbeck Beds of Dorset, with notes on their stratigraphical distribution. Proceedings of the Dorset Natural History and Archaeological Society, 94, 17-20. Ensom , P.C. 1988. Excavations at Sunnydown Farm, Langton Matravers, Dorset: Amphibians discovered in the Purbeck Limestone Formation. Proceedings of the Dorset Natural History Archaeological Society , 109, 148-150. Sauropod footprints, salamanders, multituberculate mammals. Iguanodon footprints. Cherty Freshwater Member. Also see paper in Palaeontology giving full description of mammals. Ensom, P.C. 1989. Sunnydown Farm sauropod footprint site. Proceedings of Dorset Natural History and Archaeological Society, 110, 167- 168. Ensom, P.C. 1990. Correction regarding Sunnydown Farm bed correlation. (Bed correlation should be with bed WB 117). Proceedings of the Dorset Natural History Archaeological Society, 111, p.133. Ensom, P.C. 1995. Dinosaur footprint records for the Purbeck Limestone Group, Dorset, since 1981. Proceedings of the Dorset Natural History and Archaeological Society , 116, 151-152. Ensom, P.C. 1995. Dinosaur footprints in the Purbeck Limestone Group (?Upper Jurassic- Lower Cretaceous) of southern England. Proceedings of the Dorset Natural History Archaeological Society , 116, (for 1994), 77-104. Ensom, P. 2002. The Purbeck Limestone Group of Dorset, southern England: a guide to lithostratigraphic terms. Pp; 7-11 in: Milner, A.R. and Batten, D.J. (Editors) 2002. Life and environments in Purbeck times. Special Papers in Palaeontology, No. 68, Palaeontological Association, London, 268pp. Report from a symposium on the Purbeck Group at the Dorset County Museum, Dorchester, Dorset, March 19-22, 1999. Ensom, P.C. and Delair, J.B. 2008. Dinosaur tracks from the Lower Purbeck strata of Portland, Dorset, southern England. Proceedings of the Ussher Society. Dinosaur tracks from strata below the Cherty Freshwater Member, Lulworth Formation, Purbeck Limestone Group, of Dorset had not been recorded formally until 2002 when Professor Michael House published a preliminary note, in the Proceedings of the Dorset Natural History and Archaeological Society. 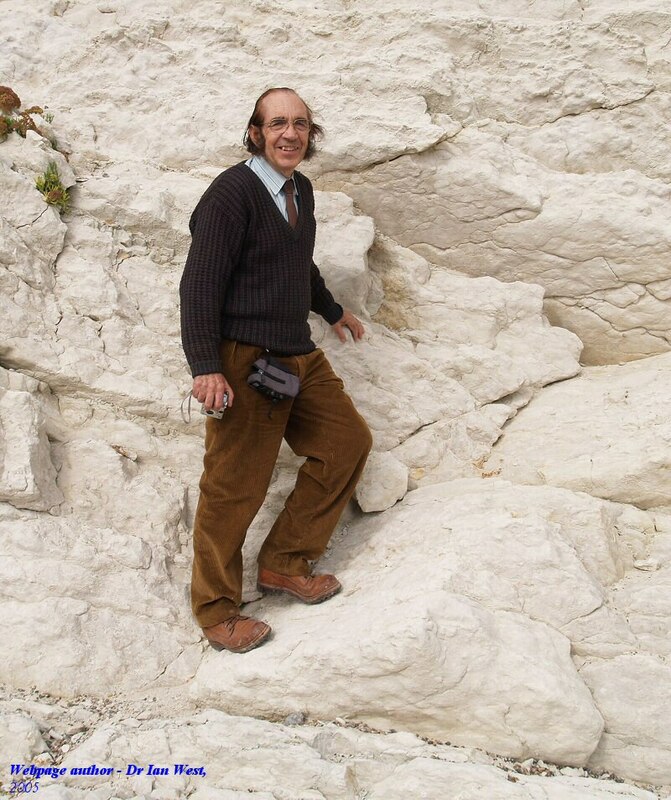 He flagged the 2001 discovery of a number of blocks of the �Thick Slatt�, Hard Cockle Member, with casts of dinosaur tracks preserved on their lower surfaces, in a quarry on the Isle of Portland. New light is shed on the source of the tracks, and the history of their discovery is documented. The methods employed to record them are described. The traces are placed in their stratigraphic and palaeoenvironmental settings. In this paper, how the tracks were made is described, and most importantly it is concluded that they are preserved as transmitted casts. Three distinct types of tridactyl track attributable to bipedal dinosaurs are recognized, as well as isolated tracks which are interpreted as belonging to quadrupedal dinosaurs. Evidence is presented to support the interpretation that one of the tracks assigned to a quadrupedal dinosaur was produced by a sauropod. Despite their apparent differences, it is suggested that the majority of the tridactyl tracks were left by one species of dinosaur which was almost certainly herbivorous and lived in groups. One trackway may have been made by a carnivorous dinosaur. Ensom, P.C. and Delair, J.B. 2007. Dinosaur tracks from the lower Purbeck strata of Portland, Dorset, southern England. 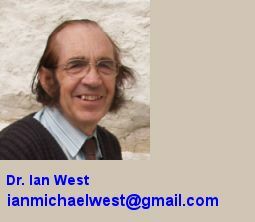 Geoscience in South-west England, 11, 309-325. Zhang, J. Lib, D., Li, M., Lockley, M.G. and Baib, Z. 2006. Diverse dinosaur-, pterosaur-, and bird track assemblages from the Hakou Formation, Lower Cretaceous of Gansu Province, northwest China. Cretaceous Research, Vol. 27, Issue 1, February 2006, pp. 44-45. By Jianping Zhang, Daqing Li, Minglu Lia, Martin G. Lockley, and Z. Baib. Available online 10 February 2006. The tracks occur at multiple stratigraphic levels in fluvio-lacustrine sequences of paleosol mudstones and sandstones with mud cracks and wave ripple marks. A minimum ichnodiversity of eight, the highest reported from the Cretaceous of China, is estimated. The saurischian component (theropods and sauropods) compares well with Inner Mongolia ichnofaunas from the Jing Chuan Formation. However, the co-occurrence of ornithopod and sauropod tracks is rare in Asia and globally, and compares with assemblages from South Korea, a similar Cretaceous paleolatitude (ca. 30�). Gibbs, G. 1997. Footprints of dinosaur are UK's biggest. The Guardian, Saturday, May 17th 1997. page 10 only (Extracts only follow). The footprints are of huge sauropod such as Brachiosaurus or Diplodocus that lived 140 million years ago . Worth Matravers quarry, near Corfe Castle. The largest of the prints is almost 4 feet across. Discovered on National Trust land near the Priest's Way footpath. 52 prints. A track left by the tail has also been found. Dr Jo Wright said that this is the biggest dinosaur footprint that has been found for years. It is hoped to find the trackway one animal took to determine its speed. The footprints seem to go under adjacent rock, now being cleared. Nunn, J.F. 1990. A new tridactyl footprint impression in Durlston Bay, Swanage. Proceedings of the Dorset Natural History Arch. Society , 111, 133-134. Sarjeant, W.A.S. 1983. British fossil footprints in the collections of some principal British Museums. G.C.G. The Geological Curator, 3, 541-460. Thulborn, T. 1990. Dinosaur Tracks. Chapman and Hall, 410 p. 862.D5. Purbeck tracks reviewed - p. 318. Also re horse erosion - raised rim of a footprint is known as the bourrelet and the development of this depends on consistency of the material. Compression cracks may also be developed. Clods. Footprint size SI= (FLFW) 0.5. TW = Tracking Width. Walkden, G. and Oppe, E. 1969. In the footsteps of dinosaurs. Amateur Geologist, 3, 19-35. West, I.M. and A El-Shahat 1985. Dinosaur footprints and early cementation of Purbeck bivalve beds. Proceedings of the Dorset Natural History and Archaeological Society, 106: 169-170, 1985. West, I.M., 1988 Notes on some Purbeck sediments associated with the dinosaur footprints at Sunnydown Farm, near Langton Matravers, Dorset. Proceedings of the Dorset Natural History Arch. Society, 109, 153-154. Wright, J.L. 1996. Fossil vertebrate trackways from the Purbeck Limestone Group of Dorset. Palaeontological Association Newsletter. Abstracts for 1996 Ann. Meeting. Prints from Iguanodon walking quadrupedally. Some pterosaur tracks. Quadrupedal tracks from a nodosaurid ankylosaur. Ensom, P.C. Excavations at Sunnydown Farm, Langton Matravers, Dorset: Amphibians discovered in the Purbeck Limestone Formation. Proc. Dorset Nat. Hist. Arch. Soc., 109, 148-150. Sauropod footprints, salamanders, multituberculate mammals. Iguanodon footprints. Cherty Freshwater Member. Also see paper in Palaeontology giving full description of mammals. Ensom, P.C., Evans, S.E. and Milner, A.R. 1991. Amphibians and reptiles from the Purbeck Limestone Formation (Upper Jurassic) of Dorset. 5th Symposium on Mesozoic Terrestrial Ecosystems and Biota. Extended Abstracts, Oslo. 19-20. Also with paper on mammals by Kielan-Jaworowska, Z. and Ensom P.C. Suprageneric taxa of late Jurassic and early Cretaceosus multituberculate mammals. pp. 35-36. Ensom, P.C. 1992. Multituberculate mammals from the Upper Jurassic Purbeck Limestone Formation of southern England. Palaeontology, 35, 95-126. Mammal horizons above the Mammal Bed and equivalent to bed DB 102 of the Cherty Freshwater Member. Very small teeth separated by sieving. Ensom, P.C. 1994. A new invertebrate trackway from the Intermarine Member, Purbeck Limestone Formation, Dorset. Proceedings of the Dorset Natural History and Archaeological Society., 115, 183-184. Tracks of a small quadruped in the Downs Vein. Ensom, P.C. 1994. An unusual tool-mark in the Purbeck Limestone Formation, Durlston Bay, Dorset. Proceedings of. Dorset Natural History and Archaeological Society, 115, p. 185. Upper surface of DB 133. Also photographed by IMW. Ensom, P.C., Evans, S.E., Francis, J.E., Kielan-Jaworowska, Z. and Milner, A.R. 1994. The fauna and flora of the Sunnydown Farm footprint site and associated sites: Purbeck Limestone Formation, Dorset. Proceedings of Dorset Natural History and Archaeological Society, 115, 181-182. Heap, W. 1950. New discoveries of Mesozoic Mammals in Durdlestone Bay, Swanage, Dorset. An exhibit at a meeting mentioned in the Annual Report of the Council. Proceedings of the Geologists' Associatioin, 41, p. 103. Hu, Y., Wang, Y., Luo, Z. and Li, C. 1997. A new symmetrodont mammal from China and its implications for mammalian evolution. Nature, 390, 13th November, 1997, 137-142. This does not relate directly to the Purbecks. The strata in which the remains were found is, however, of approximately the same age and symmetrodonts occur in the Purbeck. Notes from the abstract: A new symmetrodont mammal has been discovered in the Mesozoic Era (Late Jurassic or Early Cretaceous period) of Liaoning Province, China. Archaic therian mammals, including symmetrodonts, are extinct relatives of the living marsupials and placental therians. This is the best preserved symmetrodont mammal yet discovered. New taxon is part of the early therian radiation before the divergence of living marsupials and placentals. Therians and Multituberculates are more closely related to each other than to other mammalian lineages. The Jianshangou Beds are of late Jurassic age or from the Jurassic-Cretaceous transition. Invertebrate fauna suggests an Early Cretaceous age. What's New in Nature - A new symmetrodont mammal from China - and its implications for mammalian evolution. A new symmetrodont mammal has been discovered in the Mesozoic era (Late Jurassic or Early Cretaceous period) of Liaoning Province, China. Archaic therian mammals, including symmetrodonts, are extinct relatives of the living marsupial and placental therians. However, these archaic therians have been mostly documented by fragmentary fossils. This new fossil taxon, represented by a nearly complete postcranial skeleton and a partial skull with dentition, is the best-preserved symmetrodont mammal yet discovered. It provides a new insight into the relationships of the major lineages of mammals and the evolution of the mammalian skeleton. The authors' analysis suggests that this new taxon represents a part of the early therian radiation before the divergence of living marsupials and placentals; that therians and multituberculates are more closely related to each other than either group is to other mammalian lineages; that archaic therians lacked the more parasagittal posture of the forelimb of most living therian mammals; and that archaic therians, such as symmetrodonts, retained the primitive feature of a finger-like promontorium (possibly with a straight cochlea) of the non-therian mammals. The fully coiled cochlea evolved later in more derived therian mammals, and is therefore convergent to the partially coiled cochlea of monotremes. Y Hu, Y Wang, Z Luo & C Li A new symmetrodont mammal from China and its implications for mammalian evolution (Article) Nature 390, 137 (1997). Kielan-Jaworowska, Z., and Ensom, P.C. 1992. Multituberculate mammals from the Upper Jurassic Purbeck Limestone Formation of southern England. Palaeontology, 35, 95-126. Mammal horizons above the Mammal Bed and equivalent to bed DB 102 of the Cherty Freshwater Member. Very small teeth separated by sieving. Kielan-Jaworowska, Z. and Ensom, P.C. 1994. Tiny plagiaulacoid multituberculate mammals from the Purbeck Limestone Formation of Dorset, England. Palaeontology, 37, 17-31. Albionbaatar, Sunnydown Farm, Cherty Freshwater Member, Langton Matravers, rodents, sieved sediments. Kingsley , C. 1857. Geological Discoveries at Swanage. Illustrated London News, Dec. 26th 1857, pp. 637-638. With classic etching of Beccles Mammal Pit. Owen , R. 1854. On some fossil reptilian and mammalian remains from the Purbecks. Proceedings of the Geological Society; In the Quarterly Journal of the Geological Society, 10, 420-433. Owen , R. 1894. The Life of Richard Owen. Sigogneau-Russell , D. and Ensom, P. 1994. Decouverte, dans le Groupe de Purbeck (Berriasien, Angleterre), du plus ancien temoignage de l'existence de mammiferes tribospeniques. CR. Acad. Sci. Paris, t. 319, serie 2, p. 833-838. WRC filed under Ensom. Simpson , G.G. 1959. Mesozoic mammals and the polyphyletic origin of mammals. Evolution, 13, 405-414. Spencer , F. 1990. The Piltdown Papers 1908-1955. Natural History Museum Publications, Oxford University Press, London, 282 p. P.8 - Dawson finds fossils from the Wealden Purbecks of Netherfield, Sussex. P.4,5 - Dawson and natural gas discovery at Heathfield. Battle with geochemist Hewitt. p. 9 -In 1910 Dawson comments on Arthur Smith Woodward's visit to the Middle Purbecks of Swanage and the finding of a maxilla of Triconodon. See Woodward, Proceedings of the Geologists' Association, 1912. Willett , E.W., 1881. Notes on a mammalian jaw from the Purbeck Beds at Swanage, Dorset. By Edgar W. Willett, B.A. With an Introduction by Henry Willet, Esq. F.G.S. (read May 25, 1881), Quarterly Journal of the Geological Society, London, 37, 376-380. He found mammal remains in the Upper Dirt Bed or Fern Bed in a pit on the cliff top - Willett's Mammal Pit. Woodward , A.S. 1912. Note on a maxilla of Triconodon from the middle Purbeck Beds of Swanage. Proceedings of the Geologists' Association, 23, 100-101. With plate of Triconodon ferox . Found by Mr John Newton during a GA trip to Swanage in 1910. Found in the Cap Stone about 26 feet above the well-known Purbeck mammal bed and just below the Feather in which the only known jaw of Triconodon major was found. Anatomical details. References to Owen (2 publications) and to Osborn. Clements , R.G. 1993. Type-section of the Purbeck Limestone Group, Durlston Bay, Swanage, Dorset. Proceedings of Dorset Natural History and Archaeological Society, 114 for 1992, 181-206. Classic section log showing details of the Mammal Bed - DB 83. By Dr. Roy Clements. Hartland-Swann , J.K. 1989. An investigation of the Marly Freshwater Member and the Cherty Freshwater Member of the Purbeck Group of Durlston Bay, Dorset, England. Unpublished undergraduate project. April 1989. 69p. Heap , W. 1950. New discoveries of Mesozoic Mammals in Durdlestone Bay, Swanage, Dorset. An exhibit at a meeting mentioned in the Annual Report of the Council. Proceedings of the Geologists' Associatioin, 41, p. 103. Strahan , A. 1898. The Geology of the Isle of Purbeck and Weymouth. Memoirs of the Geological Survey, England and Wales. 278pp. Delair , J.B. 1993. Reptilia from the Portland Stone (Upper Jurassic) of England: a preliminary survey of the material and the literature. Modern Geology, 18, 331-348. Keywords - reptiles, crocodiles, pterosaurs, ichthyosaurs, plesiosaurs, pliosaurs, dinosaurs, turtles, chelonia, bones, Portlandian, Upper Jurassic, Dorset, Wiltshire, Swindon, Chilmark, Buckinghamshire, Megalosaurus, Iguanodon, Pleurosternum, Stegochelys, Ornithopsis, Haysom's Quarry, St Aldhelm's Head, Muraenosaurus, Colymbosaurus, Broadcroft, Whitenothe, Seacombe, Preston, Church Ope Cove, Garsington, Great Hazeley, Aylesbury, Thame, Shotover, Metriorhynchus, Okus Quarry, Town Gardens, Tisbury, Stegosaur, Theropod, Ornithopod, Goniopholis, Bernissartia, dwarf crocodiles, fabrosaurs, lizards. I believe that wing bones from a pterodactyle from the "rubble" bed of Church Ope Cove and retained in the Portland Museum is probably Purbeck rather than Portland as listed in this paper but the matter requires checking. See Damon for use of the term "rubble" for Purbeck of Portland from above the Great Dirt Bed. Ensom , P.C., Evans, S.E. and Milner, A.R. 1991. Amphibians and reptiles from the Purbeck Limestone Formation (Upper Jurassic) of Dorset. Fifth Symposium on Mesozoic Terrestrial Ecosystems and Biota. Extended Abstracts - edited by Zofia Kielan-Jaworowska, Natascha Heintz and Hans Arne Nakrem. Contributions from the Paleontological Museum, University of Oslo, No. 364, 1991. Pp 19-20. Rhamphorhynchidae, indeterminate teeth at Sunnydown Quarry. Howse, S.C.B. and Milner, A.R. 1995. The Pterodactlyloids from the Purbeck Limestone Formation of Dorset. Bulletin of the Natural History Museum, Geology Series, vol. 16, part 1, 73-88. The pterodactyloid fauna of the Tithonian-Berriasian Purbeck Limestone Formation of Dorset is revised taxonomically, using both previously described and new specimens. Three distinct taxa are present. Ctenochasmids, ornithocheirid. Strahan , A. 1898. The Geology of the Isle of Purbeck and Weymouth. Memoirs of the Geological Survey, England and Wales. 278pp. Macrorhynchus in the Downs Vein. Wright , J.L., Unwin, D.M., Lockley, M.R. & Rainforth, E. 1997. Pterosaur tracks from the Purbeck Limestone Group of Dorset, England. Proceedings of the Geologist's Association, 107, 39-48.